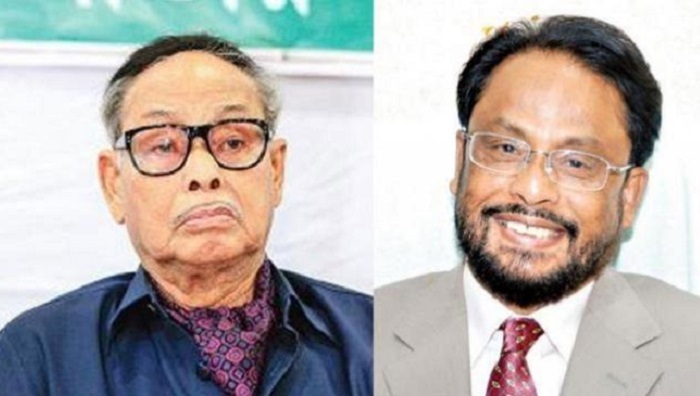 Jatiya Party Chairman HM Ershad on Friday relieved his younger brother of the post of Jatiya Party cochairman and its organisational duty for his failure to run the party. A press release, signed by Ershad, also said Jatiya Party parliamentary board will now decide whether he can remain in the post of Deputy Opposition Leader in Parliament. The former military ruler apparently exposed his unpredictability once again with his fresh decision as he had declared barely two and a half months back that GM Quader would be the chairman of the party in his absence. In a press release, onJanuary 1, Ershad had said, "As Jatiya party's founding chairman I would like to inform the party's leaders, activists and supporters at all levels that current cochairman GM Quader would act as the Jatiya party chairman in absence of me." In today's press release, he said he withdrew his pervious announcement considering the party's current situation. "As Quader has completely failed to run the party, the party activities have lost pace, he (Quader) has created divisions within the party. As the party senior leaders expressed their unwillingness to work under his leadership, he has been relieved of party's organisational duty and the post of cochairman in the interest of the organisation," Ershad said. He, however, said Quader will remain as the Jatiya Party presidium member as usual.